Dr. Feng An, Founder and Executive Director of The Innovation Center for Energy and Transportation (iCET), was invited by The Wilson Center to deliver speech at the "China Environment Forum" in Washington. The Wilson Center is US’s key policy forum and among the top 15 think tanks in the world. Through independent research and open dialogue, the Center provides practical recommendations and solutions to the U.S. Congress and Government on global issues. iCET president Dr. Feng An was invited to the workshop on "Prospects for Global Truck Electrification and Autonomy and New Delivery Models" at the Columbia University in New York, USA. Attendees of this invitation-only workshop are experts on these topics and include representatives from think tanks, academia, government, manufacturers, companies, consultants and NGOs, including U.S. Department of Energy, U.S. Environmental Protection Agency, NYC, the Columbia University, the University of California, Davis, Rockefeller Brothers Fund, BCG, BP, Daimler, Ford, Shell, Toyota etc. The topic of "The development of China's bio-economy - the role of global standards." 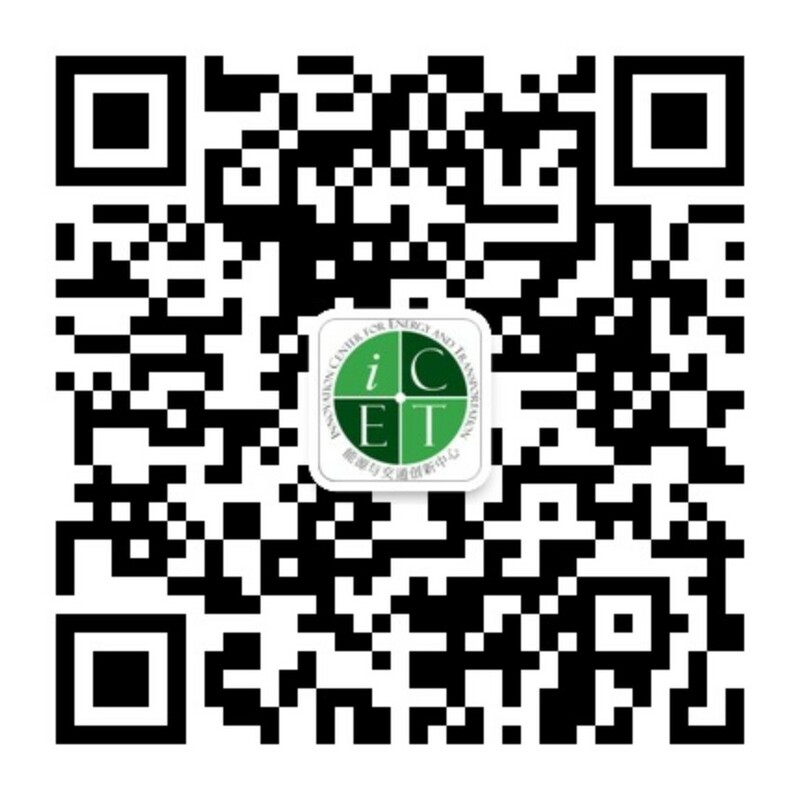 was highlighted on the conference, Ms. Kang Liping, Senior Manager of the Clean Transportation Program of the Energy and Transportation Innovation Center (iCET) , presented on "Development of biofuel production in China: overview of feedstocks, fuels, and impact on GHG emission reduction". Since 2007, iCET has been working with partners to promote biofuel sustainability through trainings, workshops, standards advocating, policy white paper to educate policy maker and industry stakeholder. Ford this week celebrated the accomplishments and achievements of non-governmental organizations at its annual Conservation and Environmental Grants China Awards in Beijing. 11 award-winning NGO institutions, more than 60 media, and over 100 NGO partners and the public gathered together to congratulate the 2018 Ford CEGC Awards honored groups. The Energy and Transportation Innovation Center (iCET), one of the outstanding NGOs in the field of environmental protection, won the "Annual Pioneer Award". The Natural Resources Defense Council (NRDC), the coordinating organization for the China Oil Cap Project, together with the Innovation Center for Energy and Transportation (iCET) held a forum, "Leaping over the Age of Oil: Future Development of Electric Vehicles” at the China National Convention Center in Beijing. Experts from the Energy Research Institute at the National Development and Reform Commission, the Chinese Academy of Sciences, the China Academy of Transportation Sciences, the China Automotive Technology and Research Center Co., and other research institutes, as well as representatives from cities and industry gathered together to discuss key issues related to the evolution of transportation, and the influence of the development of electric vehicles on the future of transportation, energy, and the environment system in China. Urban transportation is closely related to people's lives and is also an important component of the urban human settlement environment. Building an intensive, harmonious and sustainable transportation system is inseparable from good transportation planning. Solving the focus issue of urban public opinion such as traffic congestion, traffic pollution and green transportation is an important part for the harmonious development of urban transportation and human settlements. On October 18, 2018, the first “Future Transportation Public Welfare Forum” hosted by Innovation Center for Energy and Transportation was held in the National Convention Center. The forum actively explored and imagined the future of transportation and livable environment, and presented the future urban traffic intelligence and fabulous scenes. The 3rd Belt and Road Green Development Forum was successfully held with theme of “Industry Cooperation · Green Innovation” in Beijing on September 26th,2018. The forum had a comprehensive communication and discussion on green cooperation between China and countries along the “Belt and Road” route and experiences on ecological civilization construction and low-carbon development. The third workshop of China Clean Transportation Partnership, with the theme of “Comprehensive Management of Diesel Trucks and Development Opportunities of Natural Gas Trucks”, was successfully held on the morning of July 9th. In the afternoon of June 11, guided by National Energy Conservation Center, fifteen NGOs including Innovation Center for Energy and Transportation (iCET) and National Resources Defense Council (NRDC) held the theme seminar for National Energy Conservation Publicity Week in Tangla Beijing Hotel, Beijing. In the seminar, NGOs shared their energy conservation experience in industries, architectures and transportation sectors, spread energy conservation concepts, introduced measures and played an active role in promoting energy conservation to the public. As a leading NGO in transportation, iCET shared experience in EV consumers choices and promotion of vehicle green energy conservation policy. iCET was invited to publish a paper in an issue dedicated to Disruptive Change in the Transport Sector at the Oxford Energy Journal. The issue, titled “Government policy and regulatory framework for passenger NEVs in China”, offers a structured view into China’s passenger vehicle electrification policy. iCET held the launch meeting for the iCET "BestEV" Project (Phase II). Over twenty clean transportation experts, from the government agencies, private enterprises, media and research institutes, gathered to witness the launch of the "BestEV" Project (Phase II) and arouse stormy discussion on indicator adjustment and dissertation promotion of the project. On February 6th afternoon, China Clean Transportation Partnership (Hereinafter referred to as CCTP) Launch Ceremony was held in Beijing office of the Energy Foundation China. The following Steering Committee members: Chinese Academy of Engineering Academician Zhihuan Fu, Vehicle Emission Control Center of the Ministry of Environmental Protection Director Yan Ding, Director of Beijing Transport Institute Jifu Guo, Vice Standing Director of Society of Automotive Engineers of China Jinhua Zhang as well as members of Executive Committee attended the meeting. Dr. Feng An, Executive Director of iCET, was invited by Bloomberg New Energy Finance (BNEF) to attend the 2018 Future of Mobility Summit in Silicon Valley, US. As one of speakers, Dr. Feng An shared his ideas and insights in the track “ELECTRIC VEHICLES – Changing policy framework for EV adoption”. China Automotive Testing Cycle (CATC) project was initiated by China's Ministry of Industry and Information Technology (MIIT) and launched in 2015, and was lead developed by its auto research arm, China Automotive Technology Research Center (CATARC). On January 6, the CATC verification workshop was held in Tianjin. A total of 34 research institutes, including 2 testing institutes, 17 domestic independent auto companies, 7 joint ventures and 8 foreign auto companies participated in the CATC verification research work which was released at the event, and about 50 organizations attended the discussion that followed the presentation of research results. The second Environmental Public Welfare Funding Ceremony -- “Towards Ecological Civilization & Respecting Environmental Protection Pioneers”—successfully ended in Beijing. Totally thirteen social organizations in China received funding for environmental protection projects. As an outstanding leading NGO in the field environmental protection, Innovation Center for Energy and Transportation (iCET) was awarded a grant of 500,000 yuan for environmental protection projects.